I came across a paper filled with paint dabs and splatters - made when I was trying to learn how to paint - and I thought the watercolor texture would be great for Photoshop brushes. I didn't expect I would be able to extract this much - 19 in all yey!. The brushes are of different sizes and most of it are hi-res. Just play around with the colors and opacity and you'll get a great effect. And.. 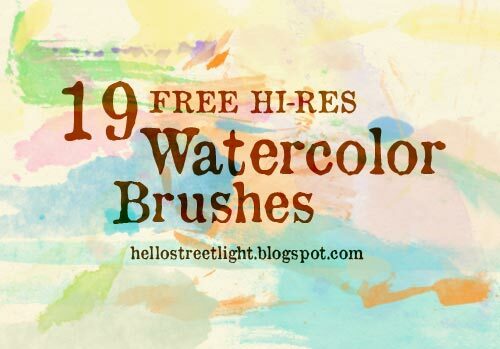 I hope you like this free watercolor brush set and enjoy using it.